1. Stop your server and remove any old files you might have on it. 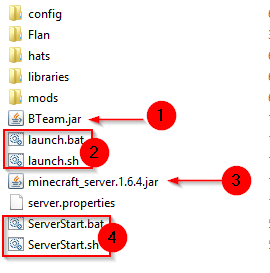 2 & 4: These .bat and .sh files are used to launch the server when running it yourself, and not with a host. They can be deleted. 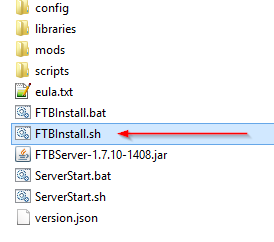 There is an exception for some modpacks if you see a file called FTBInstall.sh and FTBInstall.bat. See below. 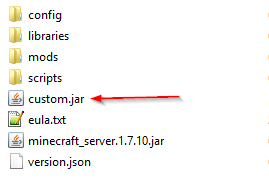 3: Usually there will be a file called minecraft_server.XXXX.jar you want to leave this file alone. If you see FTBInstall.sh or FTBInstall.bat files you will need to execute one of them. .bat is for Windows, and .sh is for Macs and Linux. 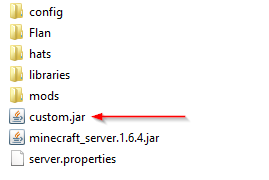 Please also note that if you are loading a modpack that required Java 7, instead of Java 8 you will need to rename the main server jar to customjava7.jar instead of custom.jar. This will load the modpack using Java 7. 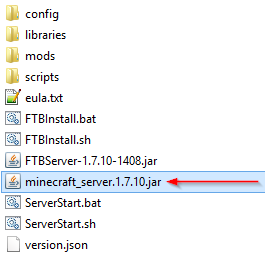 Any modpack that is under 1.7.10 (1.6.4, 1.5.2, etc) and older 1.7.10 modpack will all need to be loaded with Java 7. 3. Upload your custom modpack files to your server using an FTP client. You can find a tutorial on how to setup an FTP client to manage your files. 4. In the Multicraft panel using the JAR Selection Menu select default and click the Save button. Then type the name of your .Jar file below i.e. custom.jar, click save. You've now configured your modded server. If you get stuck we can get the modpack on your server for you.